There are primarily two types of resolution system. The first kind is pass/fail, which I will call binary. The attack roll and saving throw are examples. The second kind has multiple degrees of success. I will refer to the second kind as a spectrum system. Examples of spectrum systems include the variable damage roll, the 2d6 reaction roll, and the Apocalypse World roll. To complicate this taxonomy, binary systems are often actually limited spectrum systems, but with possibilities for super success and super failure results at the extreme ends of the possibility set (or auto-hit and auto-miss). Considering the attack roll, Natural 20s and natural 1s are examples of this sort of system, as are critical hits and fumbles. These systems are still closer to binary than not though, and I’m going to put them aside for the moment. Many people play without using any spectrum system other than the damage roll. 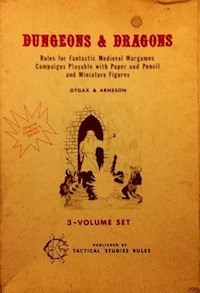 The 2d6 reaction roll was even removed from WotC versions of D&D. 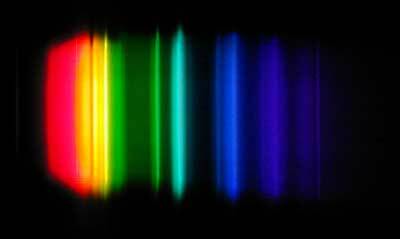 For myself, I find the spectrum systems very important. Here are a few examples of five-fold 2d6 rolls that I commonly use (with the exception of the magic roll, which is still a work in progress). When using the weather system, I apply reaction penalties by season (winter is -2, autumn and spring are -1). Thanks to Christopher Wood from Carapace King for the suggestion of the term resolution spectrum. This entry was posted in Speculations on November 7, 2012 by Necropraxis. You’ve seen the OMNI system table, right? No, I’m not familiar with it. Anyway, AW’s resolution system reminds a lot the IDF Model used in Chainmail for Spell Complexity too. And lots of Talislanta PDFs are legally available for free now. I’m not familiar with Talislanta really, but I did have those PDFs downloaded and was able to find the action table in one of them. It looks like an interesting system. That is a much better way of doing weather than I’ve ever done it. I feel kinda silly now. This reminds me of something I like about Alternity RPG. The hit roll is more of a spectrum than D&D. First I should mention that you want to roll low in Alternity. You have a target number that is your skill (in swords for example). Usually it is around 14 to begin with. You then halve your target number (round down) and then halve that number (round down) and that is your spectrum for degrees of success. 14-8 is a weak hit, 7-4 is a solid hit, 3-1 is a critial hit. I’m totally stealing that weather table. It needs a better word than gorgeous for the 12 result though.